But it was far from over. Although Cheng Qian had apologized and saluted his opponent, when he turned to leave there was a roar that sounded barely human. A sharp noise rang out and Cheng Qian instinctually ducked to one side. Yet someone was standing right in his path of escape, leaving him no space to flee. The only thing he could do was lift the wooden sword in his hands to defend himself. That was when a hand grabbed his arm. Losing his balance, Cheng Qian bumped into the person’s chest. The clank of metal rang out by his ears, the sound of cloth ripping. Cheng Qian’s pupils contracted–the rogue cultivator was so angry that he pulled out his sword and attacked right then and there. Cheng Qian was saved by his senior brother running out to pull him aside. Yan Zhengming had knocked the cultivator’s sword to the side with his sword, still in the sheath. But the dark-skinned elder brother of the cultivator had taken the opportunity to throw a shard of silver filled with energy that landed right at Yan Zhengming’s hilt. The sword slipped in his hand, and the cultivator’s next blow that would’ve been blocked otherwise cut into his shoulder. Cheng Qiang’s eyes became red instantly. At first Yan Zhengming was angry. But before he could vent any of that anger, the sharp pains of an injury had brought him down–his next move was going to be pulling out his sword, but he stopped short. The wounded half of his body had gone limp and weak. Of course, outsiders wouldn’t be able to tell any of that. The young Senior Yan was just motionless with his sword in his hand, perhaps biding his time with the maturity of an older man. It was only then that Tang Wanqiu finally spoke. Seeing that the people of Azure Dragon island had spoken up, the two brothers glanced at each other. Ultimately they were too scared to keep fighting, so they contented themselves with a glare at Cheng Qian and Yan Zhengming before fading into the crowd. 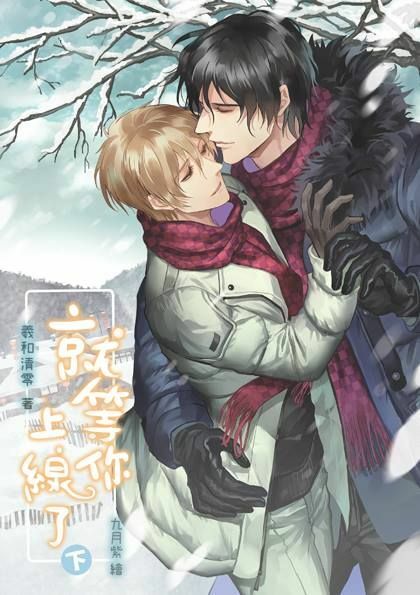 Looking deeply into his eyes, Cheng Qian grabbed one of his arms and pushed it around his own neck, supporting him as they walked back together. Although he didn’t say anything more, youthful hatred was written all over his face–even though he was silent for now, he had already committed his grudge to mind. Some people with big hearts seem like they have a special ability. No matter how happy or sad they’re feeling, if there’s someone else nearby who is going through something even more intense they have the magical ability to immediately calm down. Yan Zhengming was one of these people. Just a moment ago he was filled with rage, but now after hearing Cheng Qian’s words he felt that most of his anger had faded away. Li Yun walked over quickly to help Yan Zhengming out, freeing Cheng Qian to follow them. He did so quietly, his gaze lowered, eyes staring straight at the ground before him. The four of them returned in silence to their temporary dwelling on Azure Dragon island. Li Yun never expected to hear something so generous from the mouth of his senior brother. He glanced at him with a wide-eyed look, raising a shaking hand to poke him in the head. With that, he ran into his own dwelling without so much as a glance back. Staring into the reflective stone, Yan Zhengming looked himself over and came to the conclusion that the small injury to his shoulder was nothing to worry about. In fact, the ill boy look was quite unique, and lent a different sort of charm to his usual beauty. Cheng Qian’s reddened eyes had made Yan Zhengming feel quite odd. The boy was like a small wolf pup: ignoring him all day long and even nipping at him when he tried to approach, but came up to him in the middle of the night when no one else could see to lap at his wounds. It was quite a comforting feeling. In that comfort, Yan Zhengming kept moaning about his tiny little wound as he was carried into the room again. With the flustered attendance of all his servants, he enjoyed his time as a fragile beauty.